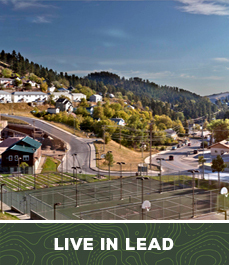 Tucked into the steep folds of the Black Hills of South Dakota, Lead is a place where you can escape from the world, an off-the-beaten path playground where one can enjoy the best outdoors fun… without the crowds! 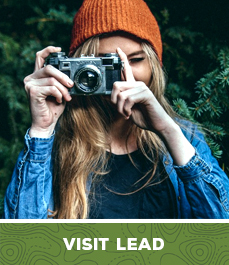 So if you are looking for adventure-filled year-round outdoor recreation, Lead might just be the perfect alternative you’ve been looking for. Your adventure starts here. Lead was long the home of the great Homestake Mining Company, and the town that was built by and for the thousands of Homestake employees and their families has remained unchanged in many ways. The Homestake Mine has now been shut down but the Sanford Underground Laboratory at Homestake is in full development and promises a lively future for the community. 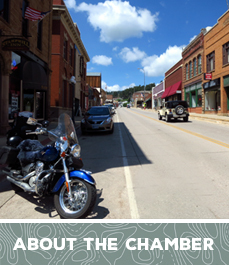 With its rich history and promising future, Lead boasts small town charm with large potential! Want to grow your business, network with others and learn what we can do for you? Are you a new or future resident? Or do you want to make the most of your hometown? Looking to discover our beautiful and welcoming area? Start planning your stay with us!